2011 might have been a difficult year, but, despite continuing economic turbulence, the new car market exceeded forecasts according the 2011 full year figures from the Society of Motoring Manufacturers and Traders (SMMT). The Ford Fiesta led the way as the bestselling car of the year. Despite the market exceeding expectations, sales were down 4.4% on 2010, according to Paul Everitt, Chief Executive of the SMMT. "2011 proved to be a challenging year for the UK motor industry. Total new car registrations were slightly ahead of industry expectations at 1.94 million units,” he said. December saw the tenth consecutive fall in monthly new registrations – by 3.7% - but it still beat forecasts originally set by the SMMT in September. With many buyers opting to choose more fuel efficient models, sales of diesel and alternative fuel vehicles, such as electric or hybrid cars, reached a record high in 2011, taking a higher share of the market than petrol powered cars. Overall, fuel economy and emissions on new vehicles have decreased. The average CO2 emissions figure for a new car in 2011 was 138.1g/km, down from 144.2g/km in 2010 and 181g/km in 2000. Lower emissions are achieved in unison with improved fuel economy, and mean lower annual VED bills for new car buyers. The fleet and business markets were important during 2011, with more than half of all new cars sold being registered to fleet operators or businesses. 42.4% of new registrations were to private buyers, 14.1% fewer than in 2010. 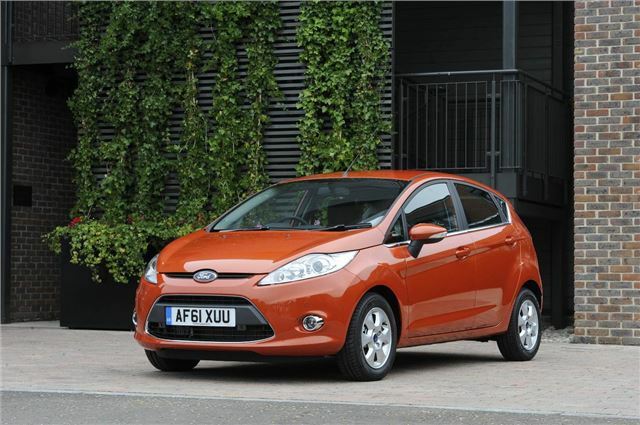 The bestselling car in 2011 was the Ford Fiesta, followed by the Ford Focus in second and the Vauxhall Corsa in third. The most popular diesel model was the Volkswagen Golf. See below for the full list. Forecasts for 2012 are stable, but a firm recovery in the UK automotive sector isn’t expected until 2013. "Weak economic growth will make trading conditions tough in 2012, but record numbers of new and updated models, significantly improved fuel efficiency and exciting new technologies will help to encourage consumers into showrooms. "Business and consumer confidence will be the key to a successful year, so it will be important that government delivers on its growth strategy and helps to resolve instability in the Euro Zone." Continued Everitt.